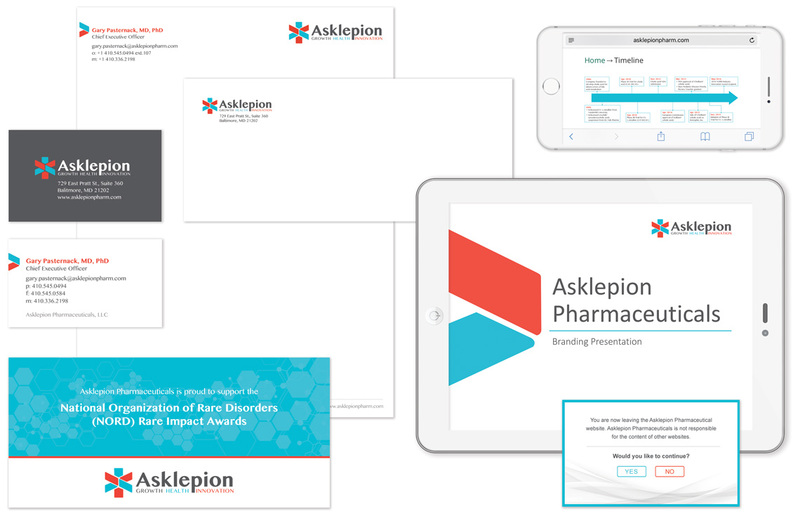 When rebranding pharmaceutical company Asklepion, we created a logo designed to bring certain references to mind. It draws on a subtle similarity to the Swiss medical cross, and implies an "A" shape to reinforce name recognition. A hint of the human form - arms outstretched - was a tip-of-the-hat to Asklepion’s focus on pediatric medicine. The visual feels open and approachable, yet modern and appropriate for the industry.